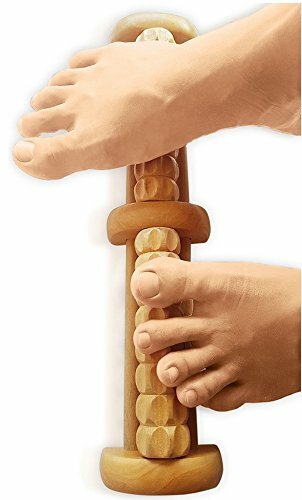 Say Goodbye To Foot Pain & Body Aches. Are you troubled by foot pain? Afraid to take that dreadful first step in the morning? ✔ 2 Independent Rollers Mean You Can Use It On Both Feet At The Same Time. Also works on most other parts of the body! This Product Is Covered By Our No-Hassle Guarantee. We will replace or refund your purchase if you are not satisfied with it. Simply contact us & we will do our best to resolve any product issues for you. Do yourself & your feet a favor today by getting the TheraFlow Dual Roller. Click on the ‘Add to Cart’ Button Now!